Congress leader and former cricketer Navjot Singh Sidhu on Friday said that Pakistan will open the corridor of Kartarpur Sahib on the occasion of 550th birth anniversary of Guru Nanak. "There can be no bigger happiness than this for the people of Punjab," he added. 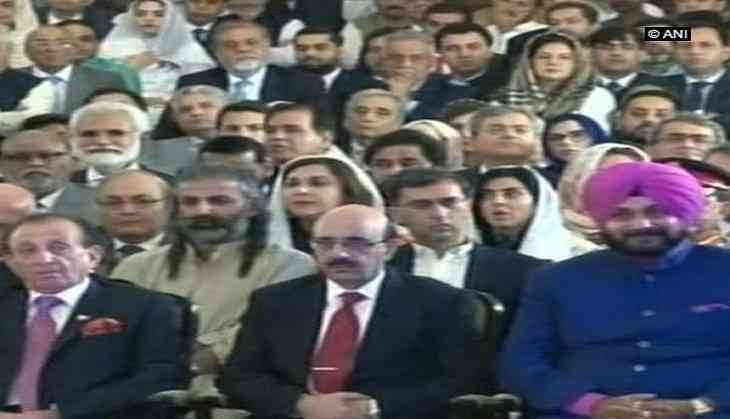 Sidhu had gone to Pakistan to attend the oath-taking ceremony of Prime Minister Imran Khan last month. Calling this latest move by Pakistan government as a goodwill gesture, Sidhu said," By opening the pilgrimage to Kartarpur, desires of scores of Sikh not only of the country but also from across the world will be fulfilled." In his concluding remark, Sidhu asserted that this decision by the Pakistan government will lessen the gap between the two neighbours who are at loggerheads over Kashmir issue for decades. Kartarpur Sahib, situated near Ravi river in Pakistan, is merely four kilometers from Dera Baba Nanak shrine which is situated in Punjab's Gurdaspur district. The 550th birth anniversary of Gurunank, who passed away in Kartarpur in 1539, will be celebrated in November next year. Decoding Pink Box Office Collection: Here's why this Amitabh Bachchan film is a super-hit!